Win big whilst having the best time when you play Crown Gems Hi Roller Slots! It’s full of sparkling jewels and loads of chances to win big! 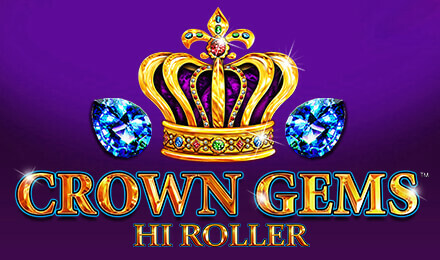 Crown Gems Hi Roller Slots is packed with precious jewels, rewarding bonus features and loads of chances to win! The Crown is your highest paying symbol, so be sure to look out for it amongst the jewels. Plus, as the name suggests, there’s a hi roller feature where you can unlock up to 50 paylines! The base game has 10, which means there are loads of extra wins waiting! Login and play now at Vegas Spins! Good luck!